My favorite way to cook plums is to roast them. I prefer roasted plums to eating them raw because they have a deeper flavor. 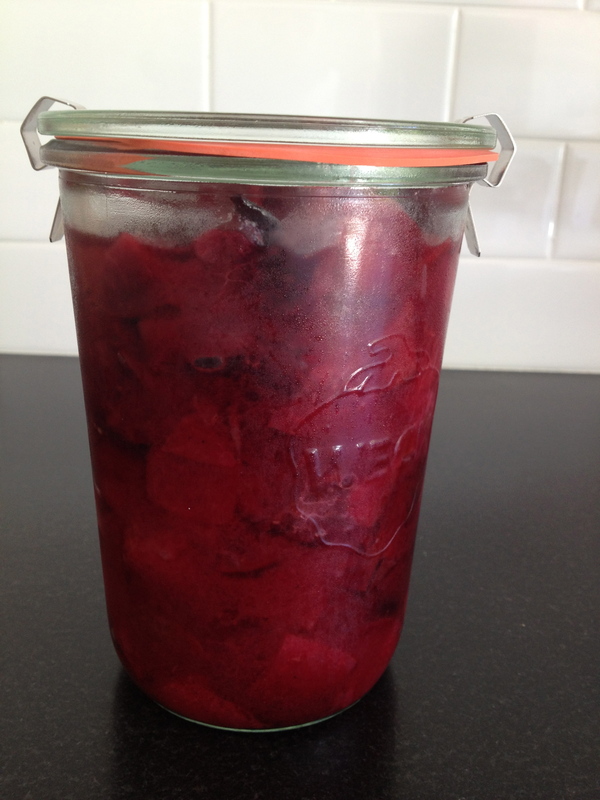 During this time of year, when plums are so plentiful, I always have a container of roasted plums handy. You can eat them plain, with yogurt, with oatmeal or with ice cream. The Wall Street journal had an article A Plum Assignment in the September 1st weekend edition. 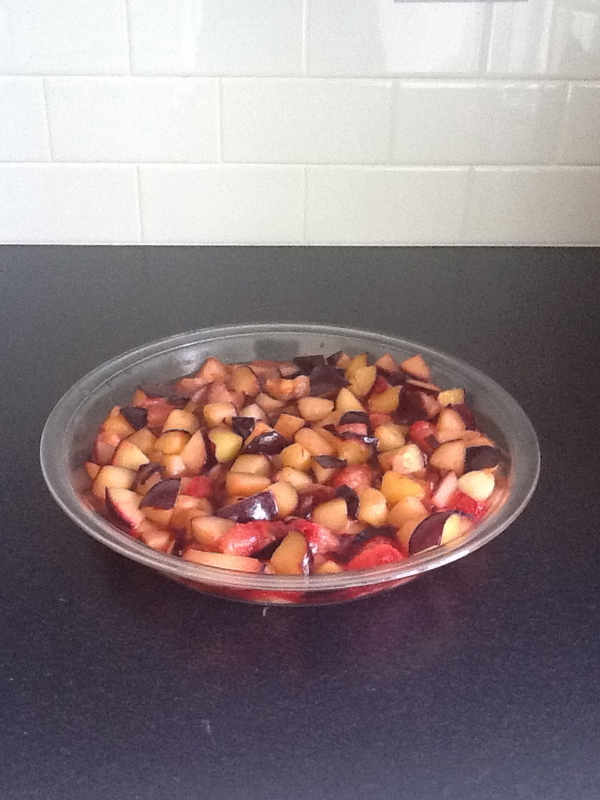 Gail Monaghan suggests caramelizing plums. She includes a recipe for a Caramelized Plum, Rosemary and Polenta Pound Cake. The combination of the plums and rosemary sound interesting. I will try it out and let you know if it is a keeper. Coincidentally, I read the WSJ article over the weekend and then made the caramelized plums. They are delicious and are in my refrigerator waiting to top a slice of grilled pound cake this evening. I too loved the sound of the rosemary plum polenta combo. Let me know how it turns out. So glad to hear the caramelized plums are good.I received the WSJ weekend paper last year as a Christmas gift. One of the best gifts I have ever received. I really look forward to the “Off Duty” section. One of my favorite breakfasts in memory involved roasted plums, plain yoghurt and granola …. all from your recipe! Looks yummy good and delicious!!! Can’t wait to try…if it tastes anything like your Blueberry Buckle then I know it will be a hit! I just sat down to my Sept. 10 edition of NY magazine and ran across a recipe for a grilled plum salad. It looks amazing, with fennel, lemon and pine nuts. Hmmm……..sounds like a great beach salad. Anyone in?